← Are We On the Cusp of a Transformation in Electric Generation Technology? As we’ve discussed in previous blog posts including The Natural Gas Fracking Debate: What Is Fracking and Why Does It Matter? Part II, the potential benefits of natural gas fracking are at risk of being overshadowed by the various hazards that the fracking process may introduce to public health/safety and the environment. These hazards include the disposal of fracking fluids, the migration of fracking fluids and/or natural gas into water supplies, and the leaking of greenhouse gases. The exact threat each of these poses to the public and/or the environment has yet to be quantitatively proven. However, it is clear that the future of fracking greatly depends on the gas industry’s ability to work with regulators and the public to create and execute policies and procedures that make public health and environmental protection top priorities. Until now, the federal Environmental Protection Agency (EPA) has left regulation of fracking up to each state. But on October 20, 2011, the EPA announced a proposal to implement regulation of disposal of wastewater discharges produced by natural gas extraction from underground coalbed and shale formations over the next two to three years. The EPA is currently conducting a national study of whether fracking has polluted groundwater and drinking water. Anywhere from 15 to 80% of fracking fluids are returned to the surface and must be disposed of. The fluids include chemical additives that are used to improve the fracking process and may also include additional substances absorbed from the underground formation. While some of the wastewater is currently recycled or injected into deep underground wells, much of it is sent to treatment plants that may not be equipped to handle the volume or toxicity of wastewater that fracking produces. The new EPA regulation will require drillers to meet certain standards before sending fracking wastewater to treatment plants. The specific rules will be developed through consultation with various stakeholders including the gas industry and environmental experts. According to the EPA, the standards will “be based on demonstrated, economically achievable technologies.” The EPA expects to implement standards for coal-bed methane gas in 2013 and for shale gas in 2014. The EPA’s announcement of such regulation has received cheers and jeers from those on each side of the fracking debate. Proponents of the federal standards feel it’s a long overdue first step in regulating the exploitation of shale gas, which the EPA projects will comprise over 20% of the total U.S. gas supply by 2020. Opponents of the federal regulation feel the EPA is overreaching and intruding on what they believe to be more-than-sufficient regulation on the state level. What side of this debate are you on? Let us know your thoughts on natural gas fracking by leaving a comment below. 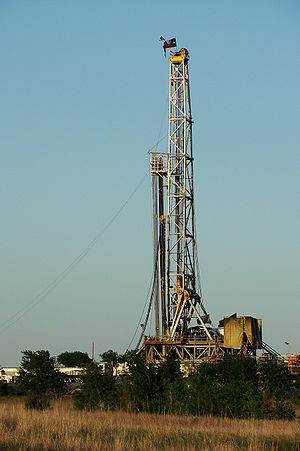 This entry was posted in Natural Gas and tagged Energy Regulation, Environmental Protection Agency, EPA, Fluid, Fracking, Hydraulic fracturing, Marcellus Formation, Natural Gas, Natural gas education, Natural Gas Fracking, United States, United States Environmental Protection Agency, Wastewater. Bookmark the permalink. Fracking fluid should be disposed properly so that it could not harm people. This toxic substance is dangerous to health, hence exposure to this substance should be prevented. Agreed that hazardous substances must be disposed of properly. We need well-thoughtout and effectively enforced regulation of drilling practices so that we can utilize this plentiful, relatively clean fuel resource without harming those that live near drilling.